Students of Musical Theatre at FAPA will take part in Drama, Dance and Singing all rolled into one fantastic evening. 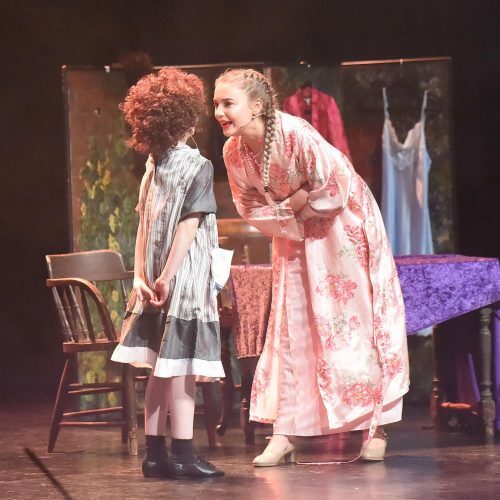 Classes include warm ups, games, dance styles, dance technique, singing and acting for musical theatre working towards performing in 2 shows every year! We are very proud of all our students who train with us and we encourage hard work and determination. Our classes will build confidence, develop skills, encourage new friendships and most of all have great fun! A fantastic fun class for pre school children incorporating dance, song and mime, Pre School Musical Theatre will bring out the little dancer within! This class will also help encourage confidence and working alongside other children in a fun and exciting environment. In the class sessions with younger children, the tutor will focus on making them fun but educational. Rhythm is introduced through clapping and teach traditional songs concentrating on pitch, tone and diction. 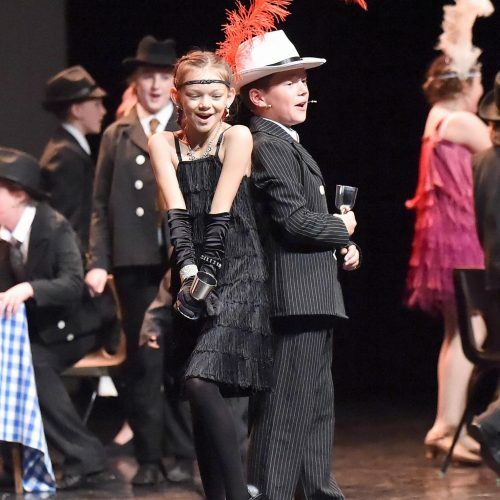 As the children and young people progress, we use various vocal warm up techniques and material from musical theatre shows and current pop songs to teach harmonies and performance techniques. Students will learn how to develop dance skills through dance steps and creative role play . They will be encouraged to explore different qualities of movement and become aware of their different body parts and how they can move them to music . They will also build confidence, make friends, and most of all have great fun ! Our Ballet classes are set to music using precise and highly formalised set steps , exercises and gestures . We teach Ballet as it gives us the best grounding for every other dance style . It gives us a strong core, good posture, turnout and musicality! Ballet is magical, exciting and also fun! Jazz dance is an umbrella term that can refer to several related dance styles. All of which are connected via common roots, namely tap and ballet. It includes techniques which can be carried through to any style of dance and will quickly improve a child’s ability, strength and flexibility! Let’s kick, leap and turn ourselves into fantastic jazz dancers! When people talk about commercial dance it encompasses a wide range of styles. It refers to dancing done in concerts, live shows, music videos, movies, etc. The styles that are seen in the commercial category include; hip hop, jazz, locking, popping, street and many more. Generally speaking, commercial dance is for feel good entertainment. Commercial dance classes is a great skill for hopeful dancing professionals! Physical theatre is used to describe any type of performance that tells a story through primarily and secondarily physical movement and performance. A combination of dance and theatre, physical theatre will teach you how to portray emotion through movement. A class that combines acro and dance, you will learn a range of things from street dance tricks to flies and tumbles. This class is the perfect prep for the partner & lifts class, however not compulsory, and will give you great skills for future auditions and jobs in the dance and performance world. This class will focus on choreography that centres on partner work, including-weight bearing and weight-sharing lifts. In this class you will learn how to safely lift and be lifted. This class is open to everybody 10+, with or without dance experience. A dance class that covers a wide range of commercial styles – from street, to urban, and many more – for boys aged 8+. Dancing in heels has taken the world by storm, dancers and non-dancers alike have fallen in love with the sass and fierceness of the style. This class will unlock your inner Beyoncé, and teach you how to dance and strut like you never knew you could! Open to all (aged 15+), this class has a very supportive and encouraging environment, yet will push you to learn new and exciting styles. This class will cover a range of styles, with different choreography every week to help dancers learn to pick up choreography quickly along with preparing them for possible future auditions. A fun and supportive class environment for dancers that wish to pursue performance as a career, as well as those who just love to dance! MetaFit is a 30 minute HIIT (High Intensity Interval Training) workout. Formed by a former Royal Marine Commando and an international gymnast in 2010, Metafit is the original group X HIIT workout. 30 minute, non-choreographed, bodyweight only workouts that set the metabolism on fire. With each exercise having a range of versions, MetaFit is perfect for everybody! If you want to start getting your fitness up to scratch or if you want to maintain and improve your current fitness level! No joining fee, no membership fee and only 30 minutes long! 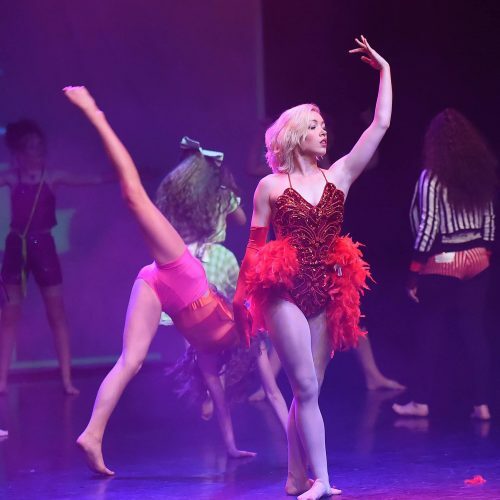 If you love to dance and would like to turn your passion for the performing arts into a full-time profession, our Professional Stage Dance Courses will provide you with the required training to give you a great start in your career as a professional dancer. Students can audition to enter a course at a level which is best suited to them. Rhona began her professional career age 15, as Babe in”Babes in the Wood” at Perth Rep. After many successful years as a dancer in theatre and television she hung up her shoes and concentrated on choreography working with the likes of Stanley Baxter, Bruce Forsyth, Ronnie Corbett and Brian Conley. Theatre credits include ” The Ship”, “La Cage aux Folles”, “Elaine with Attitude”, “42nd Street”, “The Gun”, “In Town Tonight”, “The Celtic Story”. Rhona also had the pleasure of working in over 30 pantomimes and 40 Musicals at the King’s Theatres in Edinburgh and Glasgow, the Empire Sunderland, the Gaiety Theatre Ayr, Motherwell Civic, Playhouse Edinburgh and Eden Court Inverness. TV credits include ” A Touch of Music” on Grampian TV, “Theme Dreaming” for Yorkshire TV and “The Hogmanay Show” on STV, D2 Clothing Ad for “Ice Commercials” and the “The KWIK FIT AD”. Rhona has been working for 16 years with Kidz R Us St Ives Cornwall which has included the World Premiere of The Likes of Us by Andrew Loyd Webber and Tim Rice! This year has Included Bugsy Malone, Disney’s Aladdin and Jungle Book. This year will also see her choreographing Dundee’s Professional Pantomime Cinderella at the Gardyne Theatre Dundee after last years successful Sleeping Beauty! 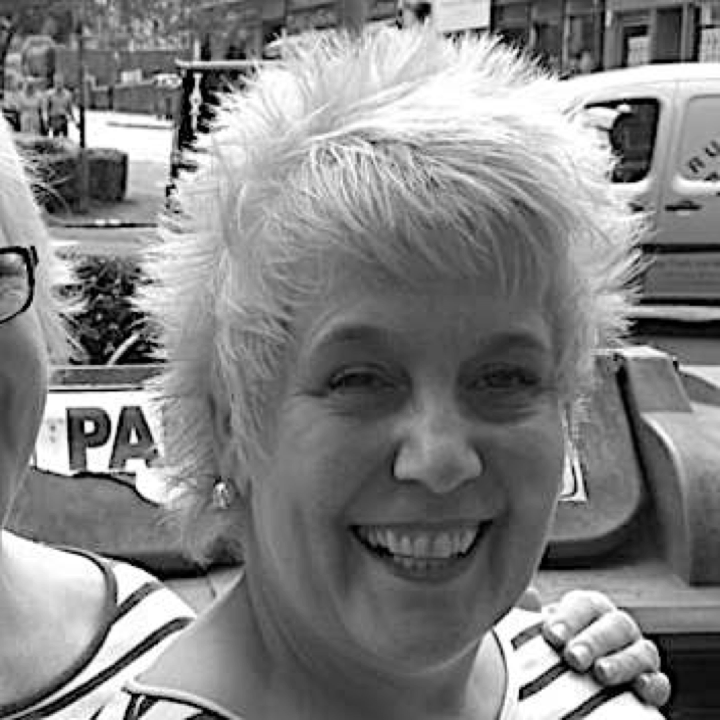 Rhona has been Head of Musical Theatre at FAPA for the past 8 years . Calum has been involved in amateur dramatics for the past 10 years. After studying music performance in Edinburgh, Calum took on the role as director for Linlithgow Amateur Musical Productions Youth Theatre and still works with them to the current day. 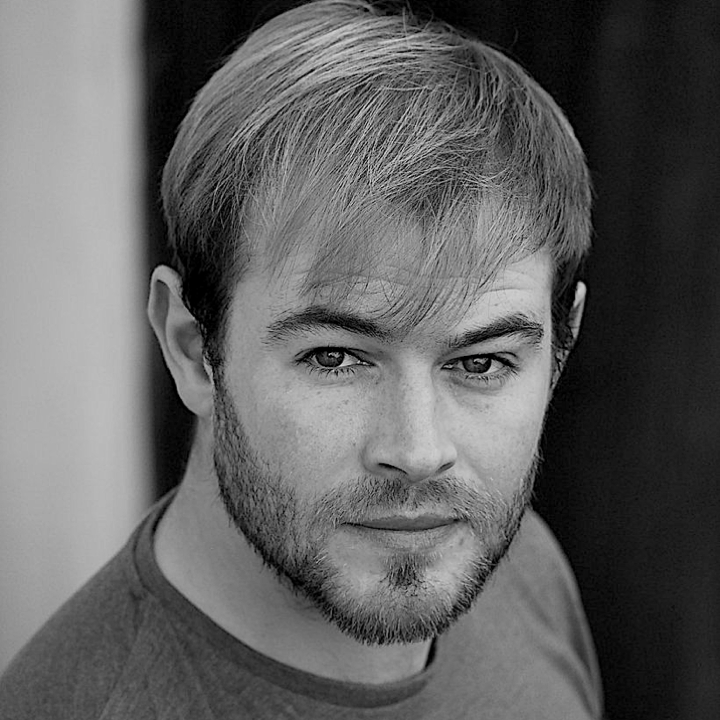 Calum graduated from Summer Hall in Edinburgh with a Diploma in physical theatre and has worked all over the UK as a full time professional actor, director and workshop facilitator. ​Some of his work includes; directing for Physical Theatre Scotland on their commonwealth games project for the National Theatre of Scotland, acting for Theatre In Education schools tour in Yorkshire and direction of countless societies across the central belt. 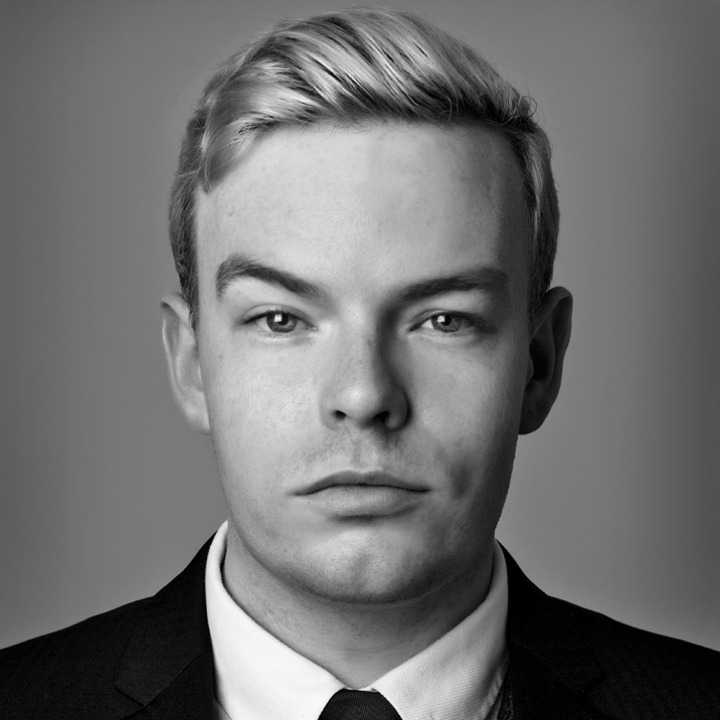 Calum is also The National Operatic and Dramatic Association Youth Advisor for Scotland. Dance has been part of my life since I was 8 years old. Throughout my school years I trained in Jazz, Contemporary, Ballet, Commercial and Tap and continued training in all of these styles, adding Lyrical Jazz, when I studied Professional Dance Performance at college. I graduated both HNC and HND with A’s in all practical and written based modules. 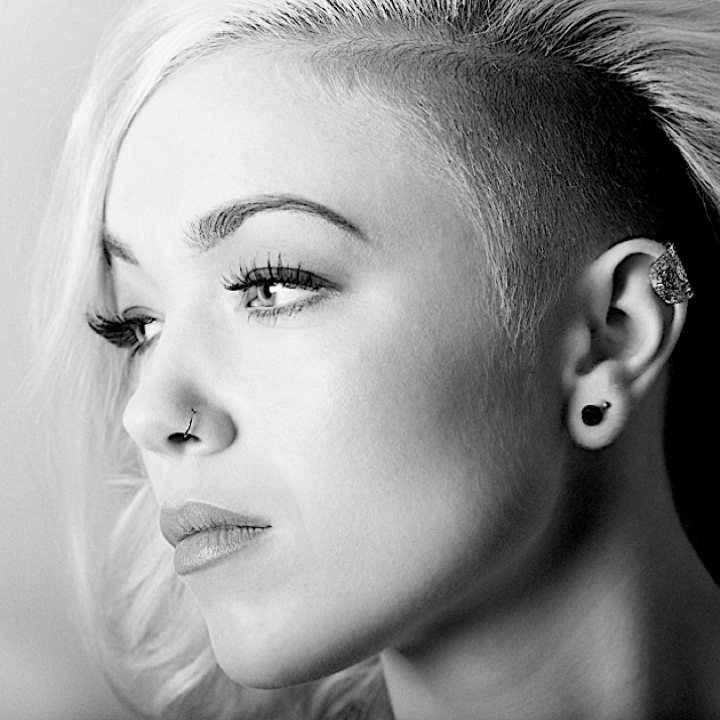 During my time training I taught a range of classes and workshops at different dance schools to grow my skills as a choreographer and teacher. While living in London I regularly attended dance classes at Pineapple Studios, where I auditioned for an L.A. based Dance Company. I got said performance job and was flown out to train with them in Los Angeles and perform in Las Vegas, along with performances with them in The Electric Ballroom in London (Camden Town). Dance is my absolute passion in life and teaching fills me with so much joy as I can watch the classes grow into amazing future performers! I found my passion for dance when I enrolled in NC Professional Dance Performance at college and continued to study this for HNC. I was given the option to continue onto HND or go to the University of Cumbria to study joint honours Dance and Musical Theatre, I chose university. During my time at university I was part of many productions including Dog Town, Pulse, Delusion, Standing By, Legally Blonde, Do You Feel Nothing? and Impact. These performance included choreography by myself, other students and professional dancers/choreographers. Throughout my time at college and university I worked at various Youth Groups as a Dance Teacher and Youth Worker, which included choreographing and directing performances. I’ve always had a passion for dance and love to pass this on with the knowledge I have gained over the years! Antony studied classical singing at The Royal Scottish Academy of Music & Drama before gaining his BA (Hons) in Musical Theatre at Mountview Academy of Theatre Arts, London. Theatre credits as Musical Director include:Cinderella (Gardyne Theatre, Dundee) Songs For A New World (Bute Pavilion, Cardiff); Sweet Charity (Brickhouse Theatre, Glasgow); And The World Goes Round (Bute Pavilion, Cardiff); Cinderella (Starlight Studios); Queens (Glasgow City Halls); Van Helsing (RCS); Grease (Pavilion Theatre, Glasgow). Theatre credits as a performer include:Van Helsing in Van Helsing (RCS); Jean Valjean in Les Miserables (Concert Highlights) at London’s O2, Georg/us Moritz in the Original German Cast of Spring Awakening (The English Theatre, Frankfurt); Robert in Company (Websters Theatre, Glasgow); Uncle Fester in The Addams Family (Pavilion Theatre, Glasgow); Warner in Legally Blonde (Kings Theatre, Glasgow); Bernardo in West Side Story (Albany Theatre, London); Zach in A Chorus Line (BAC, London); Teen Angel in Grease (Kings Theatre, Glasgow) and Ensemble in Through The Door (Trafalgar Studios, London). 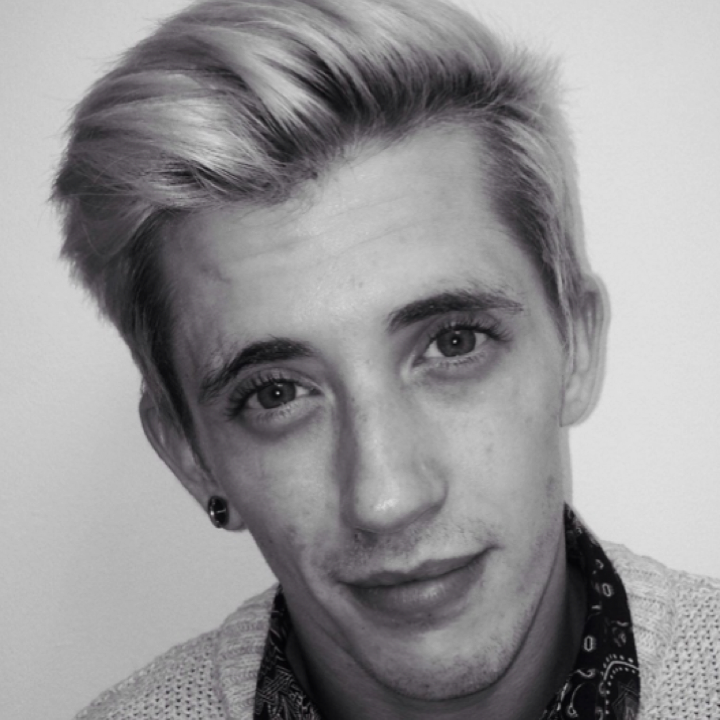 Antony currently works alongside Mercury Musicals and National Theatre Scotland as a professional writer. Theatre credits as Composer/Lyricist include:Van Helsing (RCS); Queens (Glasgow City Halls); Lady Luck (Joseph Rowntree Theatre, York); A Christmas Carol (Dicken’s World, Kent); Eternal Youth (Blaze Studios, Grimsby); Pollyanna (Starlight Studios, Paisley); The Nutcracker (The Avenue Theatre, Kent). He has also released two Digital albums – “#FeelGood” – a compilation of original songs featuring west end performers and “Jingle Ball: A Festive Song Cycle” a charity Christmas album of original songs. TAP (The Academy Project) provides sessions in all aspects of drama and dance for adults and young people with learning disabilities, learning difficulties and mental health issues in Fife. We encourage people to take part at their own pace, enjoying every part of their TAP experience. Dance and drama offers strong benefits to people with disabilities, providing an opportunity for social integration and encouraging the individuals to achieve their full artistic potential. Our classes provide a stimulating and safe space for our users to develop life and social skills, while building confidence, meeting new friends and having fun. You will learn to develop your aptitude and potential through dance, and learn how to perform for an audience. Each session is run by a fully qualified instructor. 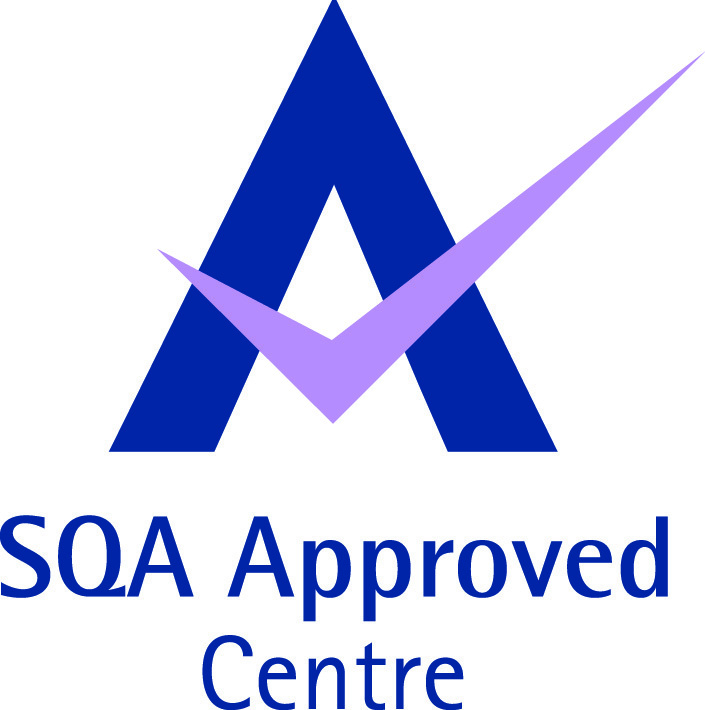 All staff at the academy are qualified professionals with previous teaching and performance experience and undergo Disclosure Scotland checks before resuming work to ensure your child’s safety and a high standard of tuition within the school. If you would like any further information on any of our classes, our experience, or details on how to pay or fund any of our workshops and classes, please contact us.